The major reason why Food Panda & JustEat clone scripts are in great demand is the humungous success of food tech business model. For those who are not familiar with the numbers, the food tech industry grew from $120 million in 2015 to $300 million in gross merchandise value in 2016. From 0.7 million euros revenue in 2013 to 50.6 million euros in 2016, the Berlin-based FoodPanda grew faster than any other food ordering startups in the world. No wonder clone scripts of Food Panda, Just Eat, and Swiggy are witnessing an upward demand. 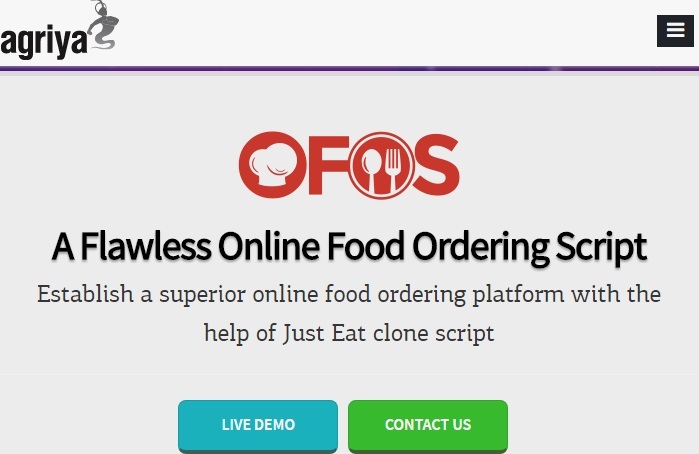 Considering the ever growing food ordering and delivery industry, our dedicated team of analysts and researchers compiled the list of best Just Eat clone scripts for your food tech venture. Here are the best Food Panda clone scripts! 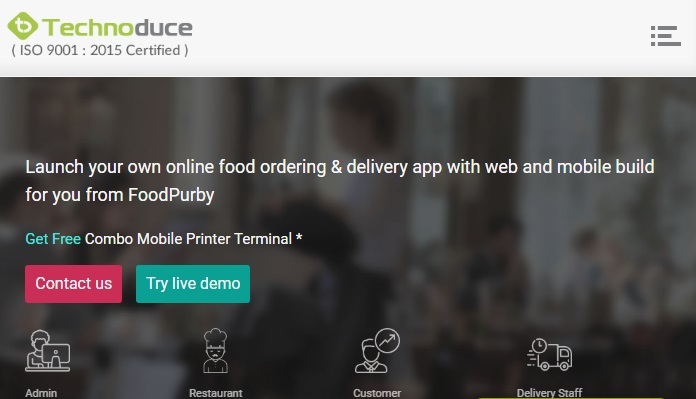 Technoduce offers one of the best ready-made online food ordering and delivery scripts to build Food Panda, JustEat, and Swiggy like websites & apps. Its clone script is well optimized for both web and mobile devices. The clone script builders also provide a customized app along with the script. This perfectly crafted Just Eat clone script by Arigya has tons of valuable features such as reviews management, restaurant search, customer dashboard, and order status. 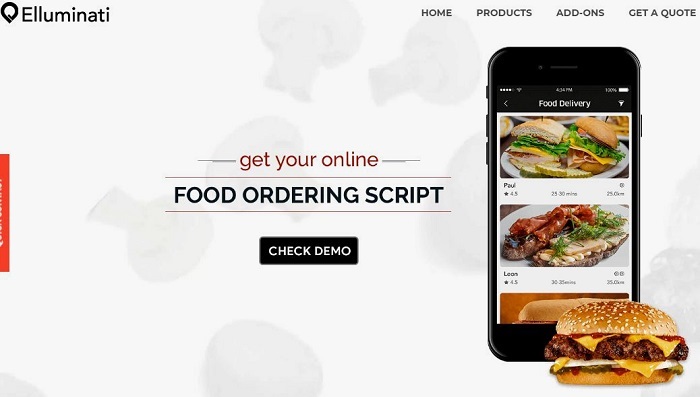 Arigya claim to provide user-friendly Just Eat clone script that is empowering budding entrepreneurs to start their own online food ordering business venture. 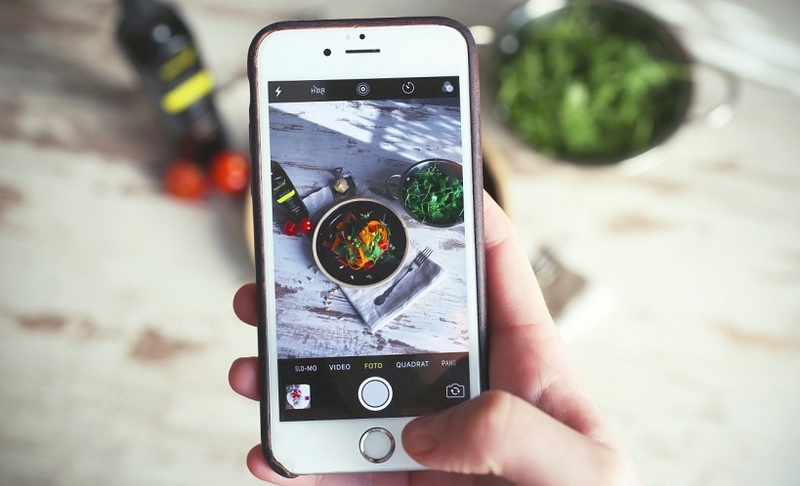 Foodstar is a clone app for building Just Eat, Food Panda and Swiggy like ventures. The Swiggy app clone is packed with some remarkably amazing features such as Laravel 5.X secured framework, real-time alerts, track rider location, coupon deals and language management. AppDupe is an app development company with huge clone clientele all over the world. They have priced their complete setup of Food Panda clone script at $3499. 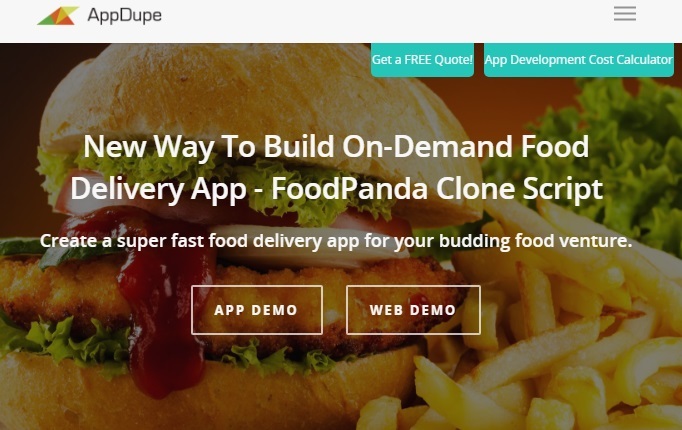 AppDupe’s Food Panda app clone features Menu Categories, Advanced search, Referral System, and other basic food ordering and delivery website features. The FoodPanda clone script also empowers entrepreneurs to control admin dashboard, setup web app, and undertake customization. Besides JustEat clone, the company also provides well optimized Uber clone scripts for ride-hailing startups. This Just Eat clone script from Elluminati Inc is amazingly well priced and super simple to use. Its skillful and experienced development team has developed a Just Eat clone script that has rich features like order management, category management, user review creation, and SEO-friendly structure. The company’s ‘without-source code’ package is priced at £3700 and features admin panel, store dispatch system, payment gateway, and 3 months support. ‘Complete source code’ package however is going to cost you £8880. With Just Eat and Zomato clone script, the developers also provide various add-ons like social login, payment mode, subscription payout, color change etc. Learn about the latest growth marketing strategies to turn your food delivery and ordering startup into a profitable venture. With user-friendly features like order management, checkout page, meta-tag management, and Email management, Smart Eat could be a sensible choice from the pool of food ordering clone scripts. The app has dazzling features which are certainly something to boast about, like restaurant availability time, nearer restaurants, payment type etc. 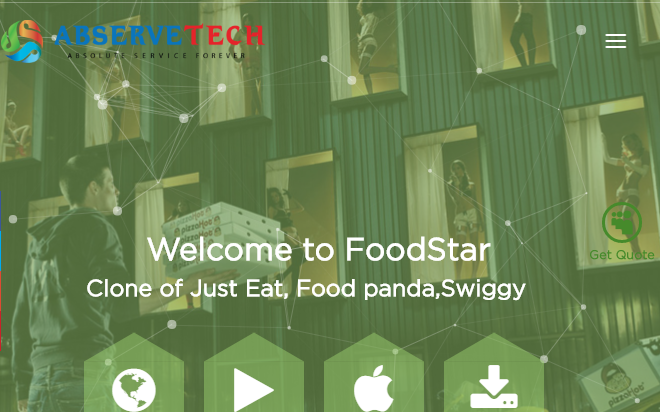 Their precisely developed Food Panda clone script has other features as well that include multi-language, online payment gateway, restaurant management, social media sharing etc. Premium package – Priced at $499 includes 99% source code, no app, single domain, 3 months support. It looks like there is no shortage of Food Panda clone script developers in India. 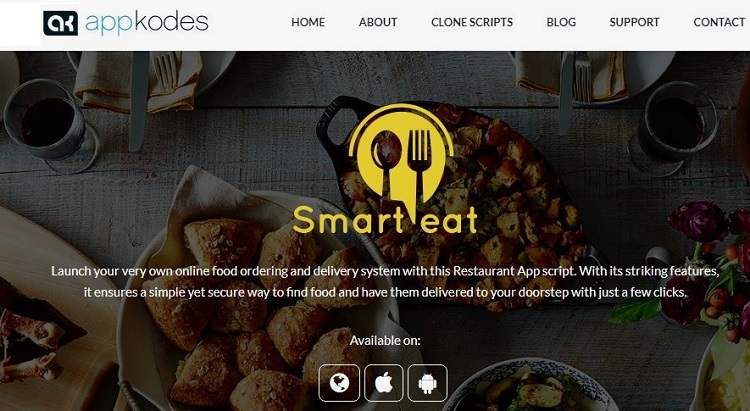 This clone app named Food ordering script is loaded with tons of features such as push notifications, real time tracking, mobile optimization, fully customized dashboard, advanced search, and order management. Customers can search restaurants by name, address, city or zip code. Unique feature like GPS tracking makes this Zomato clone script convenient and user-friendly for end customers. Oddappz has been developing highly interactive and feature loaded food ordering clone scripts focused on Food Panda, Just Eat, and Uber Eats for many years now. The app development company provides advanced clone features like secure payment, Quick buy, multi-store management, real-time tracking etc. Being different is Oddappz’s forte. To justify that, they have developed highly customized IOS and Android applications especially for delivery boys to take care all the aspects associated with delivery related jobs. It can be customized according to your business requirements as well. 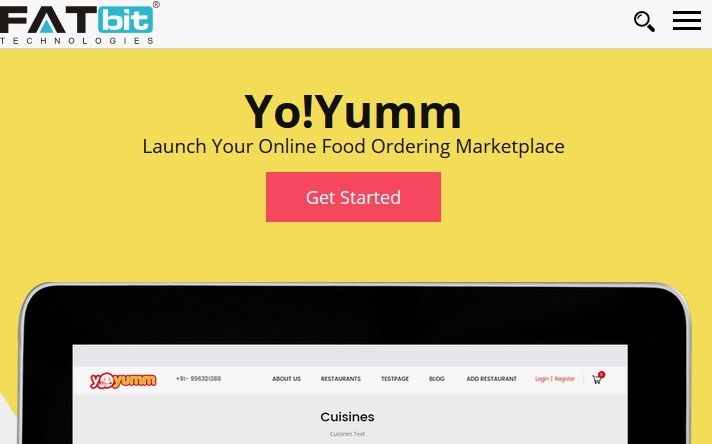 Yo!Yumm is a food ordering clone app from FATbit technologies, and built with best features of Food Panda, Uber Eats and Grubhub in mind. It is a carefully crafted GrubHub clone script that enables owners to provide customers a seamless experience across desktop and mobile devices. FATbit developers ensured that Yo!Yumm is completely optimized for search engines. To sum it up, Yoyumm is a Food Panda clone app that is effortlessly user-friendly and highly intuitive. Stacked with highly advanced features, this Food Panda clone app will certainly maximize your business. The feature-loaded Food Panda clone script is pretty affordable as well. Their Android app pricing is $999 and IOS app is priced at $1999. Appscrip is a professional software product development firm that offers brand free clone scripts. They claim that their Food Panda clone script named as iDeliver, is among the best in the market. Other than providing full source code, the company also provides customization options, online payment gateway integration and social media sharing features. iDeliver is one of the most advanced food delivery clone scripts. 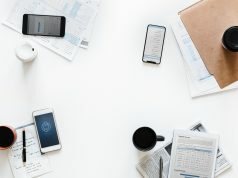 iDeliver has unique capabilities like GPRS or Wi-Fi receipt printer integration, real time tracking, add delay time, order cancellation options etc. 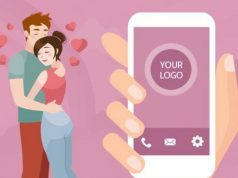 The company claims that it only takes few seconds to place orders and also ensures that the owner gets the order information through Email and SMS. This Zomato clone script includes many other impressive features as well such as Multiple Restaurants Management, Booking Details, Deliver & Pickup Reports, Sales Reports, and Invoice management. Above are the best Uber Eats and Food Panda clone scripts to get started in the food tech business. Readymade clone scripts are making it easier for entrepreneurs to enter this fiercely profitable market with a proven business model. Highly affordable and backed with technical support, above are the perfect turnkey food ordering solutions to get started in the industry. Buying Food Panda clone script alone won’t guarantee that you will achieve the success of Just Eat, Swiggy, Food Panda, and Uber Eats. You must compliment the script with advanced app features, branding, digital marketing, and promotion efforts. If you think there are another Food Panda clone scripts out there that are as awesome as these, do let us know. Just mention the company name in the comment section and we will consider it for inclusion in our best top list of Just Eat clone scripts.